Yiga Miyashiro is Saint Archer Brewing’s new director of brewing operations. He better be able to at least rollerblade to keep up with this brewery’s extreme sports brew crew. 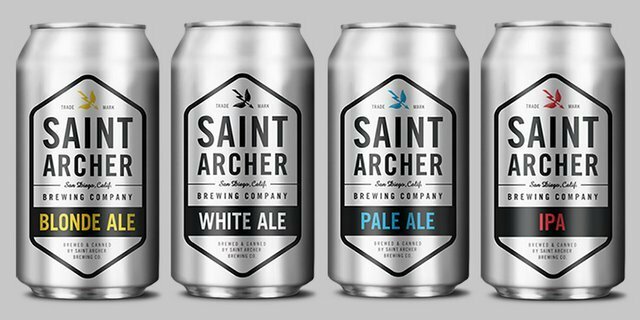 Saint Archer Brewing Co. was founded using a unique mix of creative talent. Guys like Paul Rodriguez (professional skateboarder with six X Games under his studded belt) and Josh Kerr (recognized aerial surfing specialist) are a part of the Saint Archer crew. Artists, musicians, surfers, skateboarders, snowboarders and brewers make up this unique dream team, and now Yiga Miyashiro has joined its ranks, the brewery’s new director of brewing operations. Miyashiro was introduced to brewing through the encouragement of his father in the 1990s. He taught himself how to homebrew in his father’s kitchen. In 2006, Miyashiro began his career with Port Brewing/Lost Abbey through the guidance of Tommy Arthur. He transitioned over to Pizza Port Brewing Co. when a delivery position opened. He quickly moved up in the company from delivering beer to head of brewery operations. In those seven years, Miyashiro earned many awards at the Great American Beer Festival and the World Beer Cup. He also earned the honor of being named small brewpub brewer of the year at the 2011 Great American Beer Festival. According to the press release, Miyashiro is looking forward to working fulltime alongside his former collaboration partner Kim Lutz (head brewer). Their collective creativity and freedom to experiment will certainly produce some interesting beers. Saint Archer Brewing Company’s line of beers are currently available throughout San Diego and in its newly opened tasting bar.